British Airways has come under fire from customers who failed to buy seats in a special centenary sale because the airline's website failed to cope. Others said they got to the very final stages of booking the £100 long-haul flights yesterday only to get an error message. But they admitted to customers: "Not all website faults can be foreseen unfortunately, and it's very disappointing this affected you today. "I know it's frustrating but the influx of customers trying to get on take advantage, can sometimes result in the site being overloaded." The sale, marking the airline's 100th anniversary, offered long-haul flights for £100 each-way as part of a return trip. 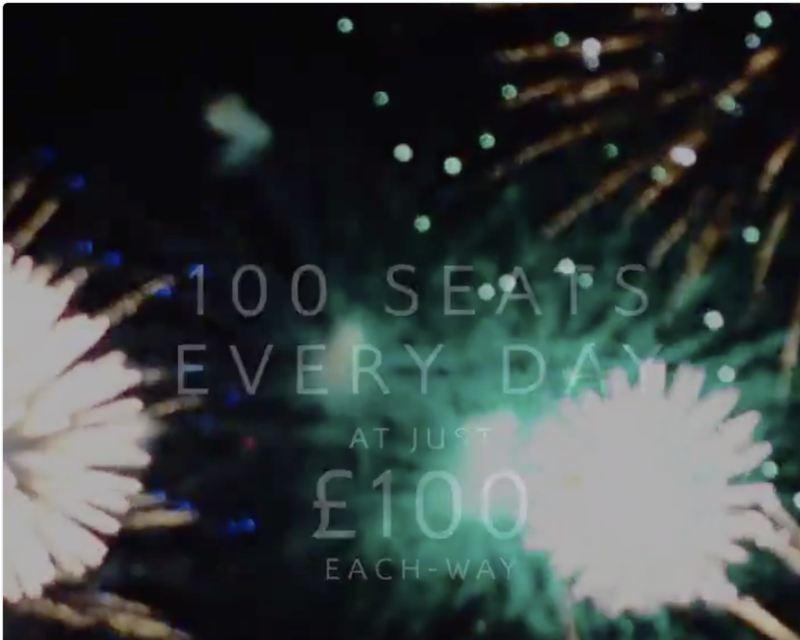 The offer ran across four days this week, with 100 seats up for grabs each day. Customers were invited to visit the site at midday on each day to reveal the two destinations on offer on a first-come, first-served basis. Customers said they had got to the very last stages of booking £100 flights to Rio or Barbados when the website went down. BA denied the website crashed but said that due to such high volumes of traffic, a very small number of people couldn't immediately access the page and were asked to refresh. A spokeswoman added: "We're pleased that hundreds of customers were able to take advantage of our centenary sale this week - and we're sorry to hear that a handful of customers could not immediately access the page due to high volumes of traffic. Customers still have the opportunity to book great deals as the sale continues till the end of the month." no such time, there's only 12 midday or 12midnight, with later having no day. Think what they mean was 12.01pm.